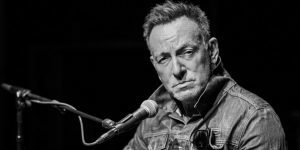 Bruce Springsteen’s historic sold-out series of performances of his one man show “Springsteen On Broadway” at Jujamcyn’s Walter Kerr Theatre will be extended through a final New York City show December 15th, 2018. 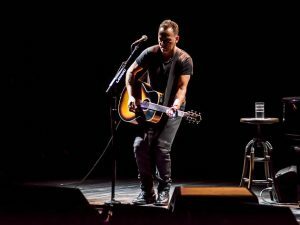 Eighty-one additional shows will go on sale for performances July 10th through December 15th, 2018, marking the third time “Springsteen on Broadway” has been extended since its initial eights-week run. There are several lifelong Springsteen fans and concert goers in any given audience of “Springsteen on Broadway”. But let us be clear: This is not a concert, nor is it a traditional, narrative driven Broadway show or musical. “Springsteen on Broadway” is 50/50 music and storytelling, the material derived from his 2016 autobiography Born to Run. The majority of all performances thru December 15th, 2018 are sold out. There is a huge following of loyal Springsteen fans and thus huge demand to see this show which is NOT A CONCERT. It is 50/50 percent music and storytelling. There is an opportunity for each show to try to win a lottery for tickets. A digital lottery will continue to operate through the extension for fans interested in purchasing tickets after the March 28th onsale. For details, visit luckyseat.com. The lottery will offer five performances at a time for entry. Entry closes at 10:00 AM ET the day prior to the performance. Winner and non-winner notifications will be sent at 12:00PM ET the day prior via email or SMS. Only one entry is permitted per person. Repeated entries and invalid email addresses will be discarded. Tickets must be purchased online with a credit card by 4:00 PM ET the day prior to the performance using the purchase link and unique code in a notification message. Tickets not claimed by 4:00 PM ET the day prior to the performance are forfeited. With high prices come high service fees with many marketplaces, but not VIPTix. VIPTix is your source for the Cheapest Springsteen On Broadway tickets on the secondary market. If you have not used VIPTix.com before, you have found a company that prides itself in lower ticket prices and providing an excellent customer service buying experience. If you have any questions regarding Springsteen On Broadway tickets, feel free to call us at 866-505-0573 or contact us by email at orders@viptix.com.